On the Farm features 30+ different cute and cuddly farm animals, each created using your fingerprints. The interactive format includes a pull-out paper pad for drawing alongside each exercise. Fingerprint & Draw supports the early stages of writing and drawing in children as young as 3 years old. 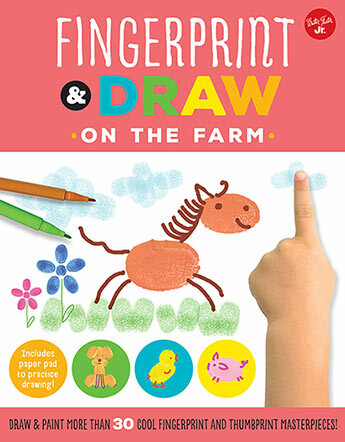 Each simple, step-by-step drawing exercise begins by showing kids exactly which fingers to use and how to place them on paper to create each animal shape, and then transforming the fingerprints into fun farm animals. On the Farm features 30+ different cute and cuddly farm animals and other things found on a farm, each drawn using your fingerprints. 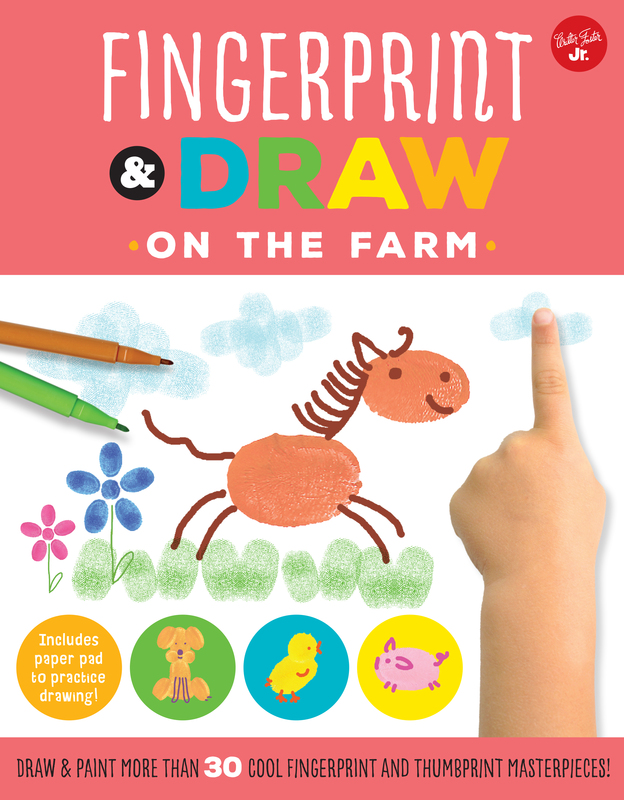 With a pull-out paper pad to easily draw alongside each exercise, children will be so immersed creating cows, chickens, pigs, and sheep with their finger tips that they won't realize they are also developing their fine motor skills.